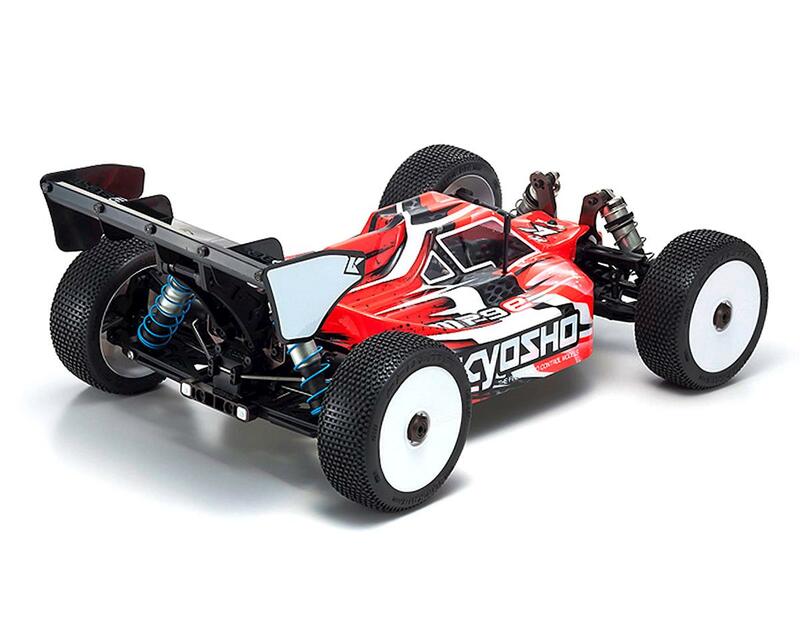 With an unrivaled record of 8 World Championship titles, Kyosho’s flagship Inferno model evolves from the MP9e TKI4 into the latest MP9e Evo. 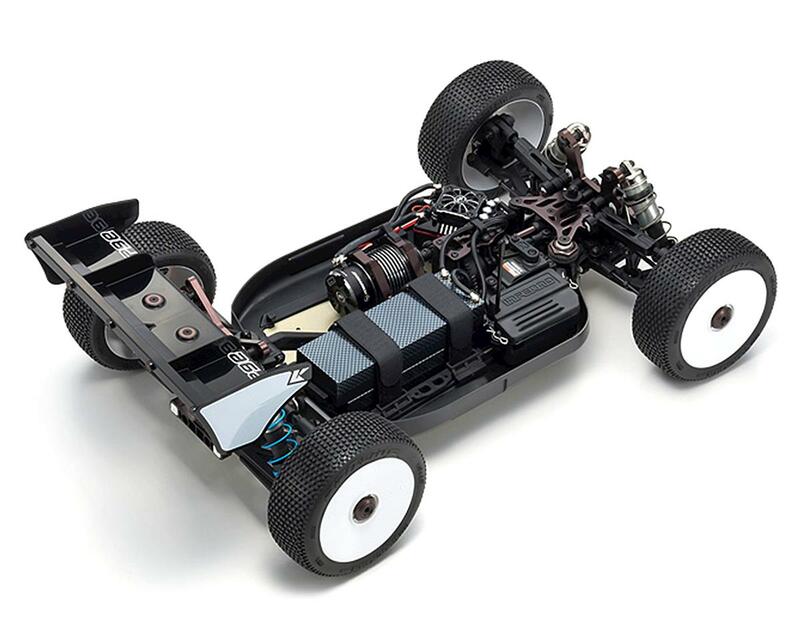 electric powered model that achieves even more dynamic performance through an advanced chassis layout and body design. The highly regarded flat control and aerial posture of the previous model has been maintained while a forward weight shift has improved balance for superior handling. In addition, subtle changes to the battery mount create a lower center of gravity that combines with the race-tested body design of the MP9e Evo. 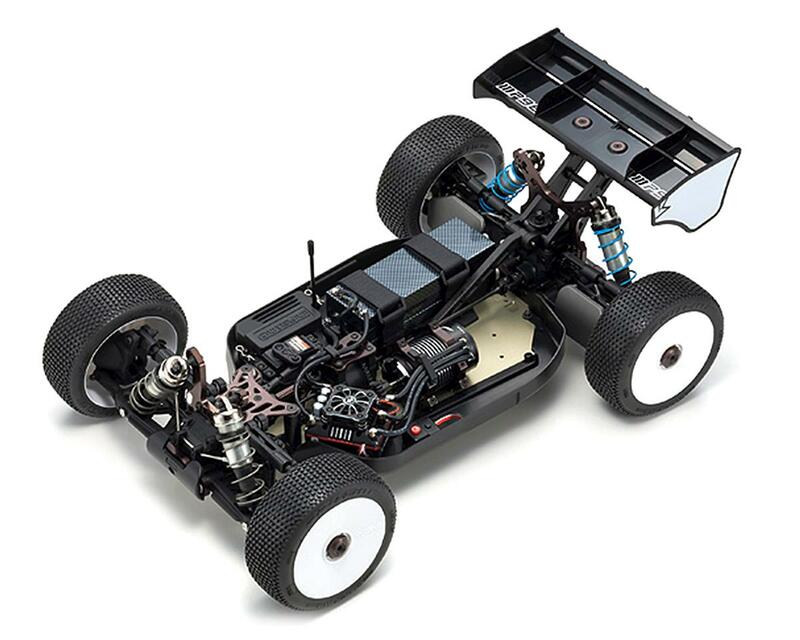 to deliver superior cornering, traction, and rough surface performance required of a racing buggy to perform successfully at the highest level. Chassis: Features front and rear suspension and drive systems from the latest Inferno MP9 TKI4 10th Anniversary Special Edition. Layout of the A7075T6 hard anodized aluminum chassis have been specifically designed for the MP9e Evo. to optimize weight distribution for electric power performance and a lower center of gravity. Motor Mount: Machined aluminum clamp type motor mount fixes the motor firmly and eliminates motor flex while running for increased reliability. Pre-drilled holes are available for mounting a cooling fan (sold separately). Strap Mounting System: Lowered position of the battery creates a low center gravity and combines with a hook and loop strap mounting system that doesn’t interfere with the chassis' flex. This also allows for multiple types of battery configurations to be used. Detachable ESC mount & Wire holders: Detachable ESC mount design allows easy installation and removal for maintenance. 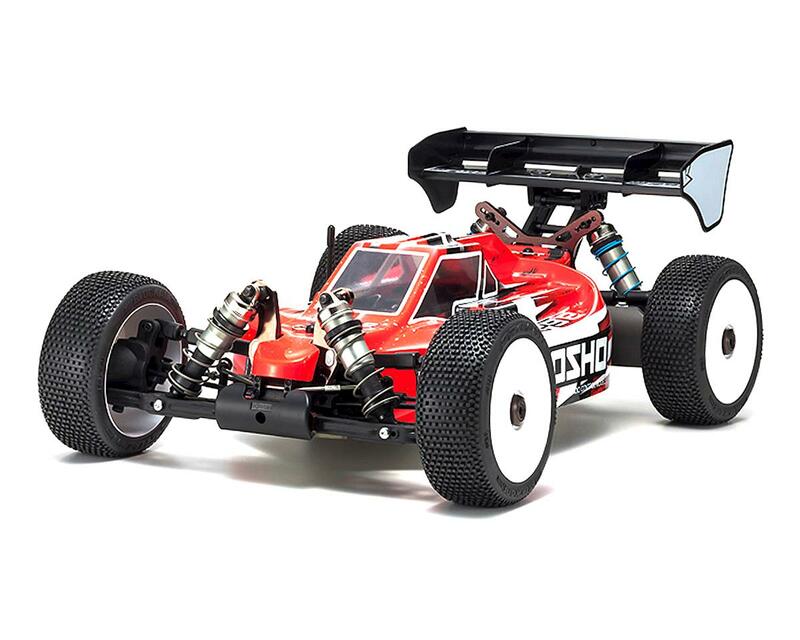 In addition, maximum forward mounting position uses the weight of the ESC for improving steering and can easily be relocated to the rear in looser track conditions. Wire holders on both the center plate and motor mount allow for a cleaner and more reliable wire setup. Shocks & Front Suspension: Hard plated threaded shock cases with aeration caps are included and deliver smooth damping function over an extended period while reducing silicone oil contamination. Front suspension combines long sus arms with 17.5° angle caster hub carriers for increased steering response and stability on rough tracks. Steering Plate: Updated steering plate features a revised tie-rod mount position to optimize ackermann ratio and increase control. Body: The updated body sits lower and has a shorter, narrower and less aggressive cabin design combined with a unique stretched out rooftop center fin that improves straight line stability. Just built and took to the track for a full practice day.. Moving from Mugen MBX7R this car is a game changer. Box setup exept for making the front diff 7K this car does not notice rough patches that rolls my Mugen even with no anti-sqaut on the MBX. Fast laps in mugen at 33.6 seconds was destroyed by consistent 32.8 and even a 32.1 lap. Real times with real results, this car loves to be driven hard. Only Bad thing I can say is the manual leave a bit to figure out on your own. Also the rear body mount is terrible as one race day it tore through the back of the body as there is only about 1/4 inch of lexan there.